Two people in a town of 2 millions found out that they both are connected to a tiny village in upper austria called St. Radegund. They decided to make a trip to their memories concerning this place on a hot summer weekend in august 2013. Fortunately they were allowed to stay at the former elementary school of St. Radegund, the building which is the key to intense memories for both of them. Radiagund is a collage of sound scape, direct quotes and voice recordings. 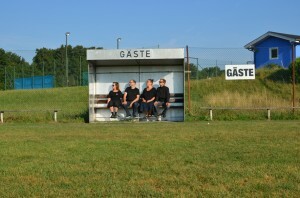 Barbara Kaisers und Karl Schönswetters show is a reflection about memories and the process of remembering in general. This entry was posted in #32 and tagged Orange 94.0. Bookmark the permalink.